Mr. Gitlin’s firm, the Gitlin Law Firm, P.C. in Woodstock, Illinois, exclusively handles family law cases. 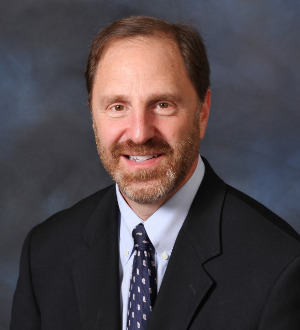 Attorney Gitlin is the author of Gitlin on Divorce: A Guide to Illinois Family Law (4th Edition), having extensively updated the treatise based upon the statutory rewrites to Illinois divorce law from 2015 through 2018. Attorney Gitlin was honored with the Michael S. Cohen award "for continuing commitment and contribution to the professional education of matrimonial lawyers." Gunnar has lectured nationally and throughout Illinois. Mr. Gitlin is a fellow of the American Academy of Matrimonial Lawyers. As a Fellow, he has been a member of the Board of Directors of the Illinois Chapter for 10 years, served as a Vice President of the Board of Directorsand served as chair or co-chair of their CLE committee for the Illinois Chapter for a dozen years. He was chaired for several years the AAML's Institute for Training Matrimonial Associates. Mr. Gitlin is also a Fellow of the prestigious International Academy of Family Lawyers. Mr. Gitlin has been given the President's Special Recognition Award by the Illinois Chapter of the AAML. Gunnar is a member of the Collaborative Law Institute of Illinois and the International Academy of Collaborative Professionals. He was honored by the Illinois Institute for Continuing Legal Education as a “Master Teacher." Michael S. Cohen Award "for continuing commitment and contribution to the professional education of matrimonial lawyers." Selected by Leading Lawyers Network in 2003 through 2017 by survey of peers of Illinois’ lawyers in the area of Family Law. Law Bulletin Publishing Company. Selected by his peers to be named as an Illinois SuperLawyer® in the area of Family Law. A-V Peer Review Designation through Martindale-Hubbell®.